Like a cocktail with a view? From trendy pop-up bars to under-the-radar summer hideouts, rooftop bars are the best place to soak up the atmosphere of London when the sun is shining. 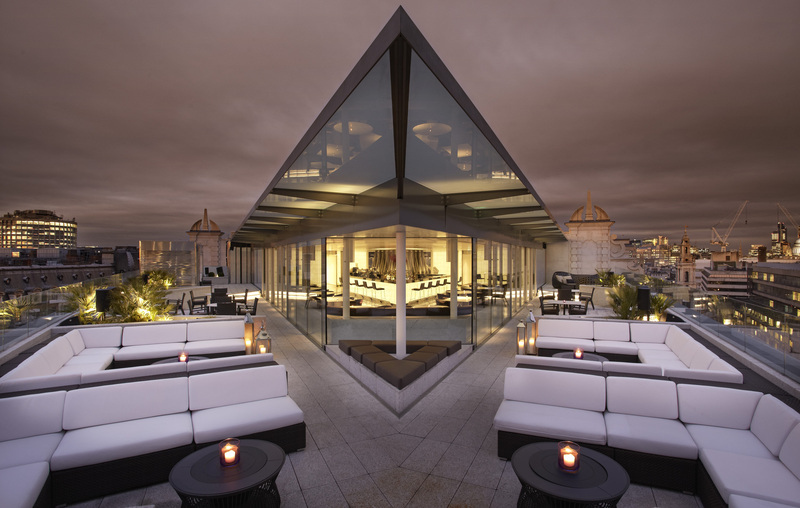 Here’s our pick of London’s best rooftop bars! 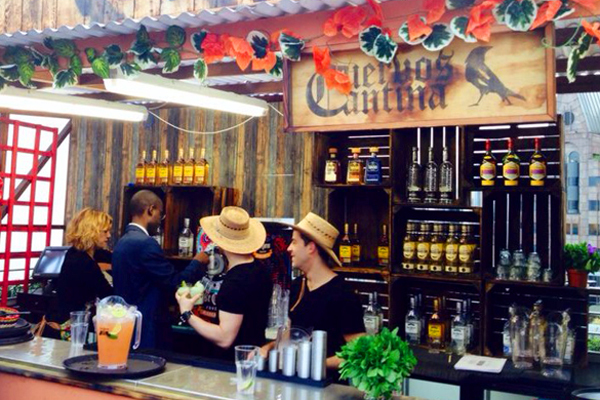 If you’re craving exotic climes, but haven’t got round to booking a holiday, head over to the Mexican-themed pop-up Cuervo’s Cantina at Skylounge. It’s not just the colourful Latina décor that’ll lift your spirits, but the delicious frozen margaritas, tasty Mexican fare like fajitas with pulled pork and pineapple (trust me it works) and upbeat music. The view’s pretty impressive too – you can see everything from the historic Tower of London to The Gherkin; a mish-mash of old and new London. The queen of rooftop bars, it’s easy to forget you’re in the capital when you step into the gardens atop Kensington High Street. There’s plenty to explore, from the Moorish-inspired Spanish Garden to the ‘British Woodland’ with the Gardens’ resident hot pink flamingos (the star attraction). 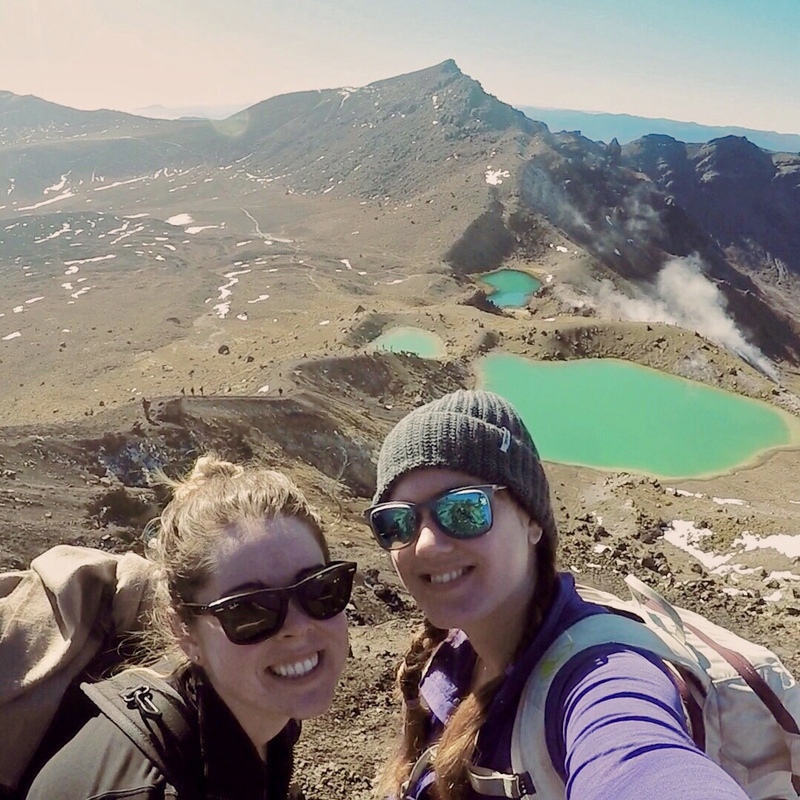 The flash pack hideout also hosts barbeques, rooftop parties (One Day returns on the 20th July) and afternoon tea pop-ups. A stone’s throw from Somerset House, you’ll find the Me London Hotel, which is home to the hip hangout Radio Rooftop Bar, a reference to the building’s previous life as the former headquarters of the BBC. Sip cocktails and enjoy views of Tower Bridge, St. Pauls, The Shard, The London Eye and Big Ben and make sure to try their new ‘Tapas Con Vistas’ menu, with dishes like deep fried courgette flowers stuffed with goats curd and slathered in truffle honey. Scrumptious. The Vista Bar is a sophisticated cocktail-lover’s haven, overlooking the bustling Trafalgar Square in central London. No doubt, taking its suited-and-booted clientele into consideration, the rooftop bar has even partnered with London’s chic accessory brand Peckham Rye to design a menu that matches classic British tailoring, with each section of the menu matched with a fashion accessory. Sip on cocktails like the vividly green Pure Elixir and watch the world go by below. Or, if you’re after something more lively, head to one of their Sunday BOHO rooftop parties, taking place every Sunday until September 14th. Vertigo-sufferers who can’t handle the soaring heights of The Shard should head across the road to The Rooftop Café at the top of The Exchange. Chilled and unassuming, but nonetheless atmospheric, the café’s English head chef Peter Le Faucheur offers daily-changing menus with an emphasis on sustainability. 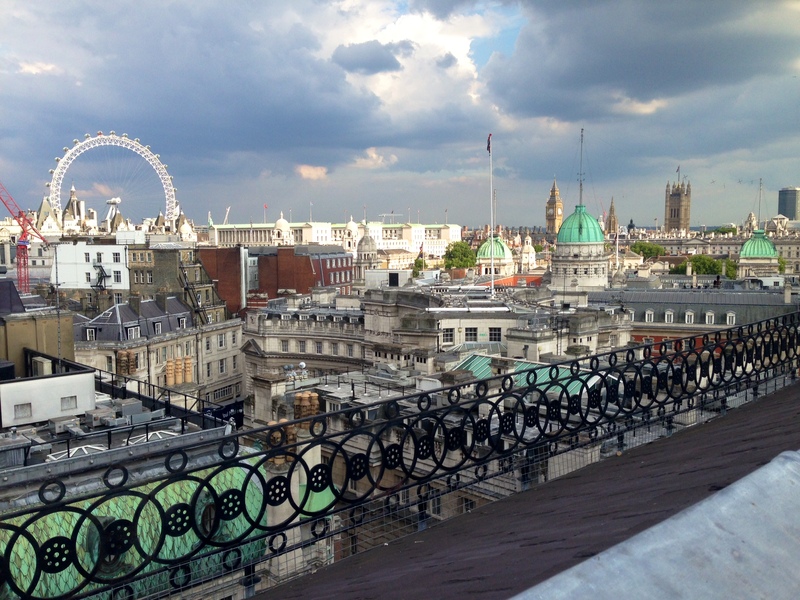 There’s tasty cocktails on offer too – and a pretty decent view of London to boot. The capital’s newest ‘it’ destination, the glitzy SushiSamba restaurant and bar, which inhabits one of the tallest skyscrapers in the city, Heron Tower. Head out to the open-air terrace and enjoy cocktails – inspired by the venue’s blend of Brazilian, Japanese and Peruvian culinary traditions – with panoramic views of the whole of London, from The Gherkin, directly opposite, to the Olympic Stadium. The Southbank is one of the busiest – and buzziest – spots to head to in summer, but escape the crowds at Southbank Rooftop Bar and Café, a little haven atop the Queen Elizabeth Hall. 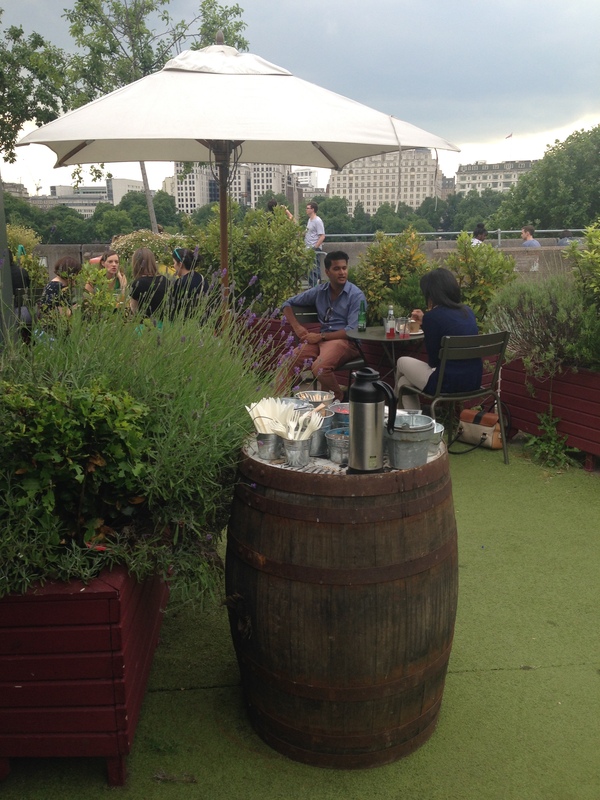 With wildflowers, park benches and a laidback vibe, it’s a more relaxed spot than some of the capital’s swankier spots, but with a fun atmosphere and river view that’ll take some beating. If al fresco drinks aren’t quite enough to put you in the mood for summer, how about an urban beach? The Roundhouse’s rooftop terrace is transformed into a beach every summer – complete with real sand, beach shacks serving cocktails, ice cream vans and plenty of games. Head there on Fridays for live music. There are enough quirky rooftop spots in East London to fill another list entirely, but one of the best has to be The Boundary’s Rooftop Bar and Grill. The chic new terrace is open all year round, thanks to its new covered area. There’s a definitive Mediterranean feel, with vines creeping across the canopy, wild herbs and a summery menu. Awesome list! I need to tick some of these off!